Thank you to Make It Real for providing me with product for my post. All thoughts shared are my own. Is your kiddo a maker? I love watching kids of various ages express their individuality and creativity through the things they make. There's a pretty new show on NBC called Making It, which encourages makers of all kinds to create cool projects. All of the 'makers' use different mediums, and they all work toward their own interpretation of the assigned project. They always come up with cool designs- some of them are truly incredible! In a world overrun by screens, it's nice to see kids want to get their hands on a project and physically make something. I love to encourage my kids to make their own projects, whatever those may be. My oldest child is 8, and isn't really into making anything. He's never been much for coloring, either. My youngest, age 2, loves to create. 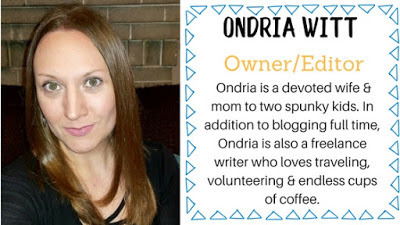 She's a talented little artist and loves everything from painting and coloring to stringing beads to make her own chunky jewelry. This holiday season is the perfect time to give a gift to a special child in your life, which will spark their creativity and fuel their passion for making things. They have so many wonderful craft kits and sets, which kids of all ages will absolutely love! From DIY Jewelry Making Kits to fashion light plates, and more, Make It Real has a kit your child will love! When you have really little girls who love to create, it can be hard to know what to choose for them in terms of holiday gifts. Sure, there are paints, but given that they're still so little, that can get kind of messy and leave mom with that 'did you really just give that to my three-year-old?' kind of look. Make It Real has an incredibly cute Fancy Nancy Favorite Accessories Kit, which your little one is sure to love! 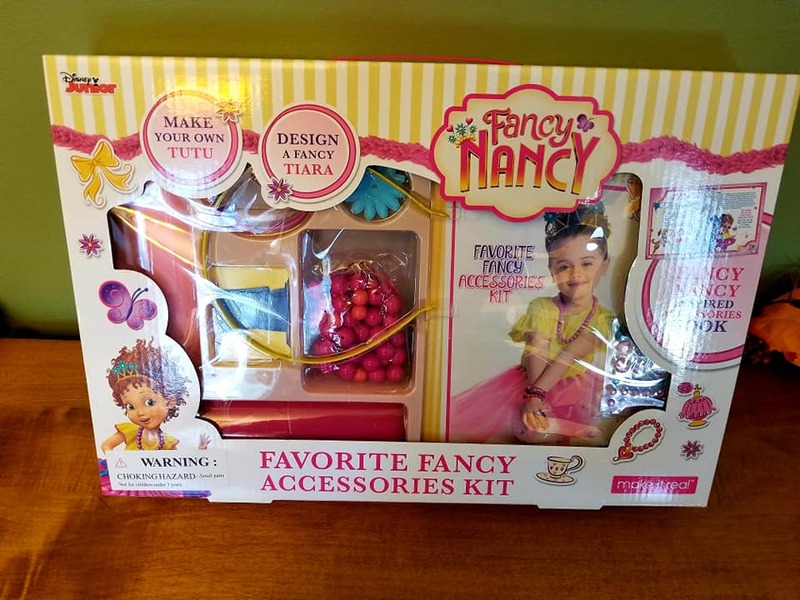 My daughter is obsessed with Fancy Nancy (we made a DIY Fancy Nancy Costume for Halloween) and loves everything from her butterfly wings to her tutu and tiara. 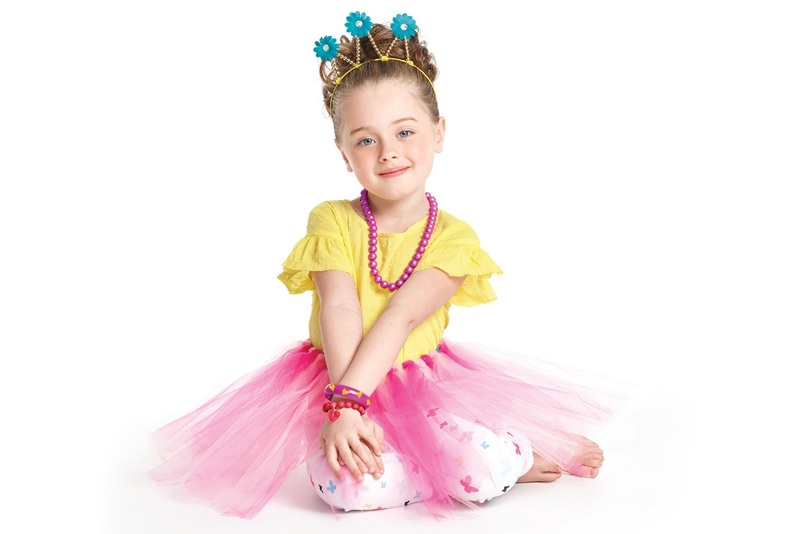 This fun kit allows your special little one to design her own tiara and tutu, inspired by Fancy Nancy! 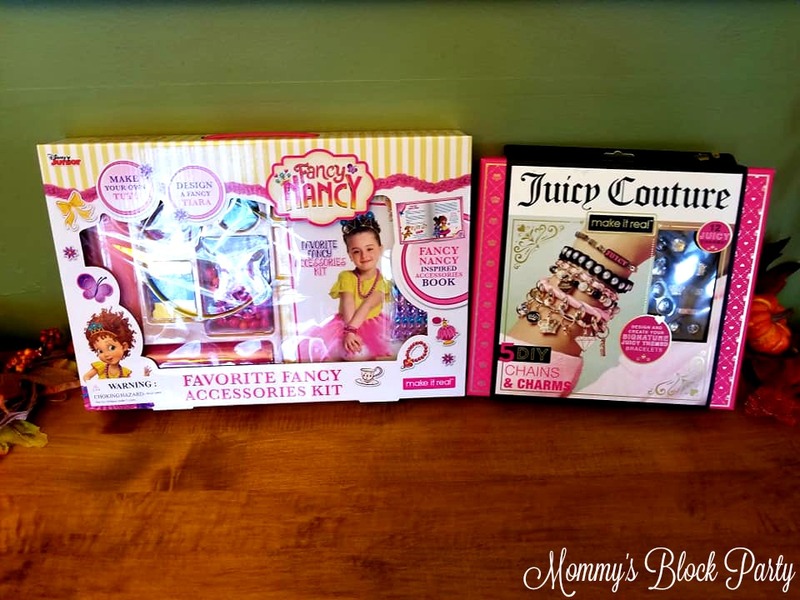 The Juicy Couture Chains & Charms Kit is perfect for making your own jewelry! When my sister and I were growing up, we loved making our own jewelry from anything we could get our hands on. As we got older, we purchased bead kits and boxes and made some very pretty pieces. 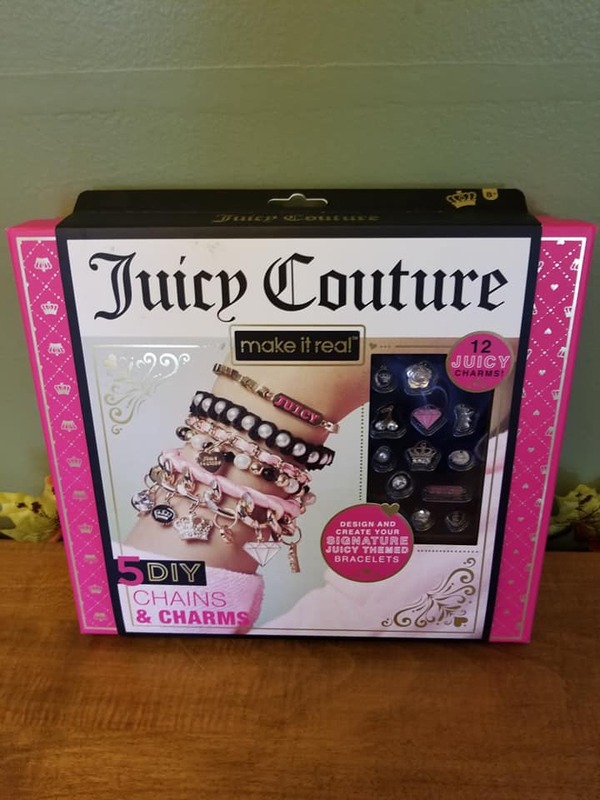 This sassy Juicy Couture Chains and Charms kit is the perfect gif for the girl (or boy) who loves to dapple in creating fashion and jewelry pieces. They can make them to keep and wear, showing off their individual style and fashion sense, or make them to give as gifts for friends and family! I would have loved being able to make bracelets from a kit like this, wouldn't you? There are tons of other cool DIY kits that your little makers are sure to love! These kits make wonderful holiday gifts, and best of all- they keep those creative juices flowing, something that kids desperately need these days. You can find these awesome Make It Real kits at craft stores like Michaels and on Amazon. Be sure to connect with Make It Real on Facebook. Special thanks to Make It Real for allowing me to share about their cool DIY Kits for the holidays! Be sure to check them out in our 2018 Holiday Gift Guide! What types of crafts of DIY projects do your kiddos like to make?